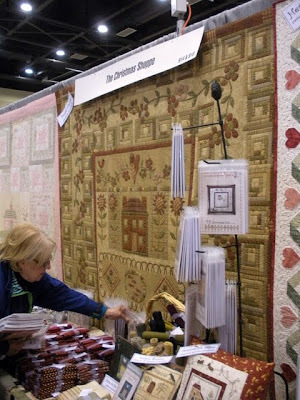 note: i can't post pictures of show quilts until i hear back from aqs & the quiltmakers... oh rules! 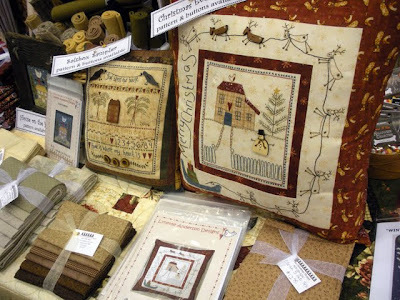 the fantastic lynette anderson informed me via twitter that a few of her quilts would be on display in the booth of the christmas shoppe... and asked if i'd take a few photos for her. well the booth was super busy... but the owner was nice & said i could snap a few photos for lynette... as long as i didn't ask people to move! 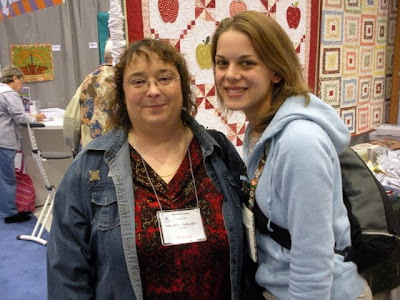 one of the main reasons i decided to attend the show..
was to meet michelle.. aka dresden quilter !! i figured if she was making the trip all the way from canada... i could handle the hour and 1/2 drive!! apparently i blink a lot?? we spent lots of time chatting & coming up with new ideas for events! luckily i enjoyed every minute of it! 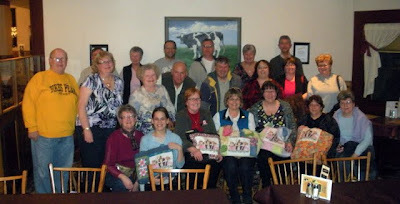 i heart my new quilting family. made up of mostly Canadians. edit.. blogger is working again. but if i had a dollar... for every time i heard "young" at this show. or you are so "young" do you quilt? don't get me wrong... i get it.. i'm below the average age... but every once in a while it would be nice for it not to be the first thing out of someone's mouth! ...and for some reason... at this show... above all others i've been to... it was the #1 thing people said! I understand completely what you are saying! 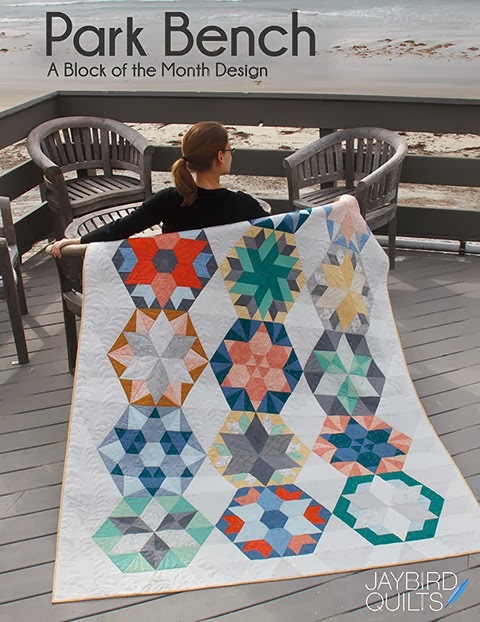 When I started quilting 12 years ago I would hear the same thing. I was 32 and that was YOUNG. Now my daughter (22 yo) joins me on retreats and to guild meetings and the young comments fly her way. I was commenting on this over the weekend. 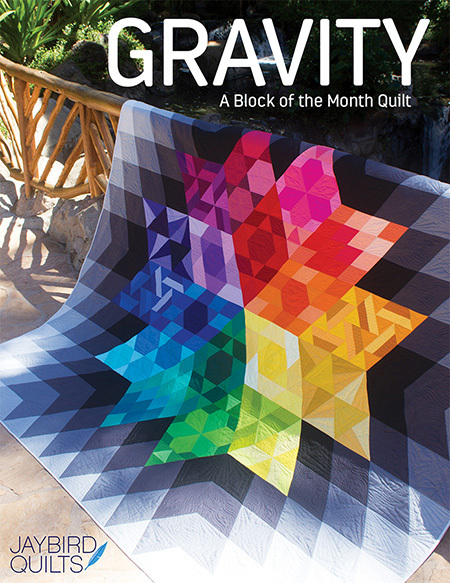 I love that the avg age of the quilter is going down because it assures that the craft will survive. I totally understand your rant, Julie! 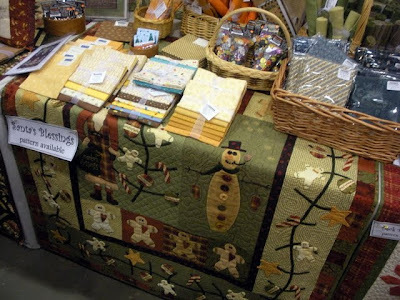 I went to a local quilt show (put on by the largest guild in the state, the CT Piecemakers) this weekend and got a number of comments like that--and I'm in my early 30s! Know what drew even more strange looks? The fact that my tall, handsome husband came with me! We had a lovely afternoon, though! I routinely get the young quilter comment too. I've come to realize it's a lot of times because they are jealous that they didn't start the art as early as we have. sounds like you had a great time and I totally hear you on the young quilter comment. I get it all the time too! 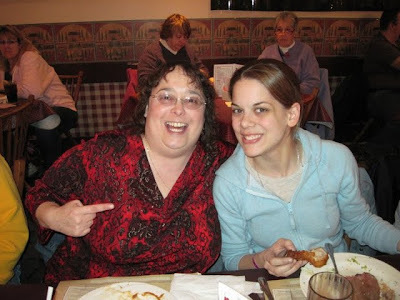 How fun that you and Michelle got to meet up! 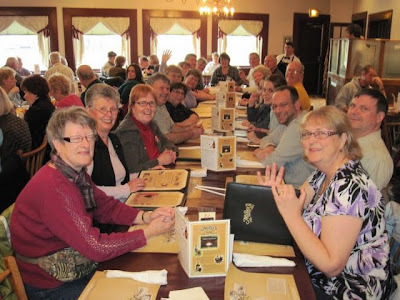 Glad you had a fun time - can't wait to see the quilt photos (if they let you). It was great to get to spend time with you too, Julie. Definitely a highlight of my trip! I use to be the youngest in my guild. I have had people in it ask me if I have time to quilt. I thought that was funny since I usually show sometime for show and tell a few times a year. 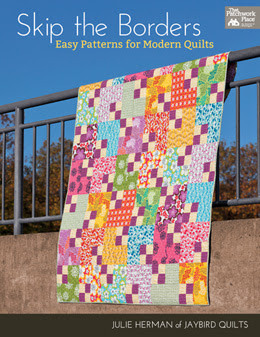 I have also had people tell me they wish they had started quilting when they were my age. 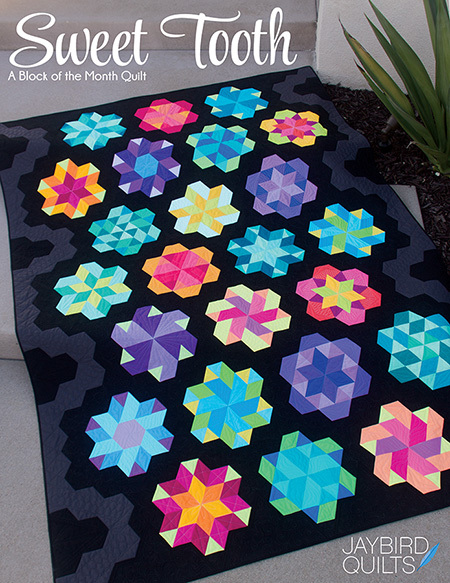 dude...aren't you a little young to be quilting??? Tres cool! I'm so glad you took pics with everyone! Did you know Ruth before you met her in Lancaster? Looks like you all had an awesome time! Ruth.. You are a woman after my own heart!! How did you get jaybird to stop talking? She does have good stuff to say though!! Silence around here would just be way too weird, and down right wrong. 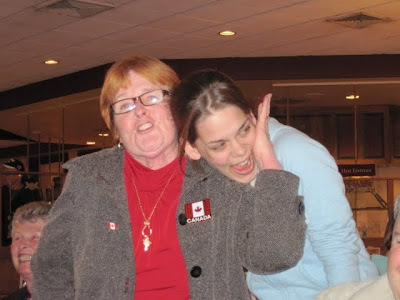 Her bubbly chatter brings life into our home, and makes me so proud!! I have given her the gift of gab! I wish I could have gone. It looks like it was so much fun. I can't wait to talk to Michelle so that she can tell me all about it. 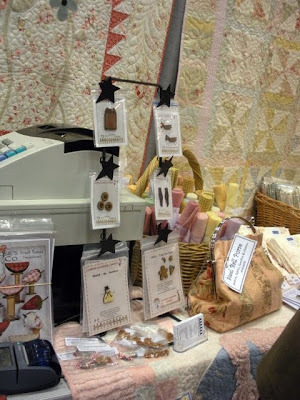 Thanks for taking the lovely photos, its fun to see my quilts on display across the world. Looks like you had a heap of fun and from your stash repost it seems you went shopping! That's too funny! I'm around your age, I'm pretty sure, and I get some strange looks and questions in the quilt shops around here. Haha, deal with it people, and let me spend my money in peace! Sandy I live in Lancaster and arranged for the dinner meetup. We all loved Julie immediately. 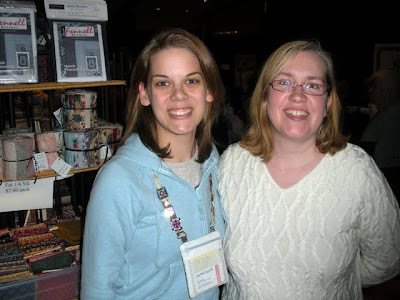 She brings fresh, fun ideas and helped to teach me some tricks-such as learning how to blog! Felt a bit motherly towards her-my own children are 29, 23, 20, 19, and I finally have the time to quilt! You should be proud! She's a wonderful girl! But you ARE young and it is so WONDERFUL to see your interest in the craft/hobby we love! What a fun time you must have had. Hi Julie - I'm 36 and I'm wishing someone would tell me that I'm too young (for anything!). Enjoy it - you are so talented!! And your work is very inspirational to us "oldies". It won't be long and you will be up there in age...there will be a new generation coming up...my three older girls, ages 19, 17, and 15 quilt. Now, I'd say that's pretty young. this looks like so much fun!! 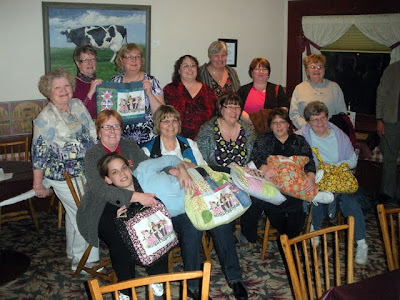 the average age of traditional quilters is what kept me from sewing and quilting for so long. i was hung up on the stereotype. but now we are bringing young and modern into it and making it awesome. go you for being the young one there!!! 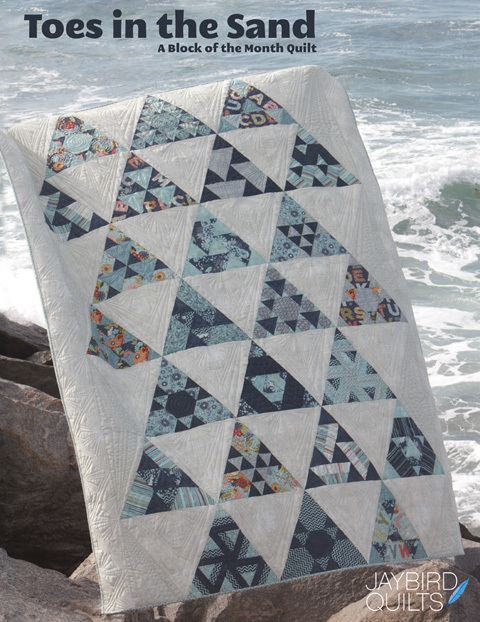 We "young" quilters are starting the trends for the next generation, so I'm proud of it. Even if I do get that comment too. 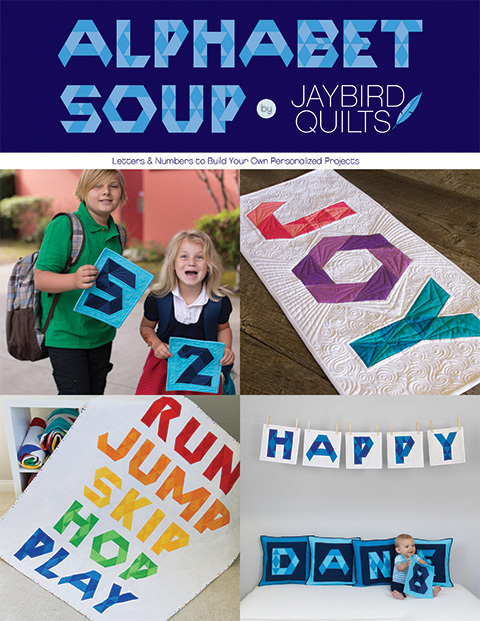 Hooray for young quilters!!! Let's hope it keeps spreading! So sorry I missed you at the show, but it sure looks like you had a fantastic time! Yeah, bummer about the pics. I saw that as I was busy snapping away. At least someone is not asking you every single day where you are from. Actually, I think my first comment to you was you're adorable ... quickly following by .. and so young! :) We're all just totally jealous, trust me! As a 25 year old quilter, I often get the same thing. You know the saying "She who dies with the most fabric wins?" Well, I always quote that and say that because I started so young I'm going to win as a joke. Try being YOUNG and BLACK. Most quilters have no idea what to make of me. Add to that the fact that I ride motorcycles and do karate, and the sterotype of a quilter goes right out the window! Glad you had fun. I'm headed up to Lancaster County tomorrow to spend 2 nights in a B & B with my twin sis and rustle up some Amish quilting beauty. Can't wait!